hi there. I tried 2 printer and cant get it to fit. is this A4 or US letter format. can guide how to print on A4 please. 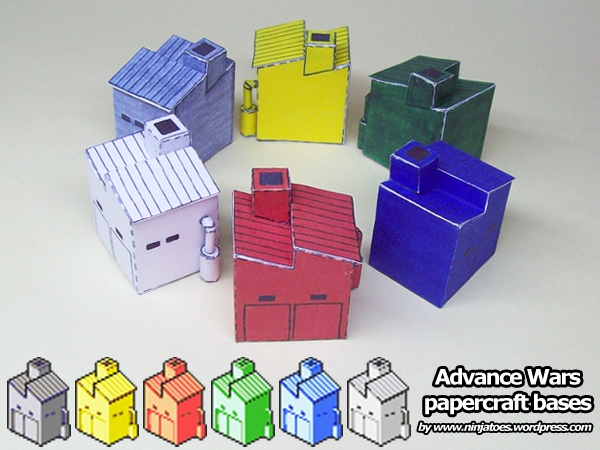 All of my paper models were made for A4 paper, but they can be printed on US letter paper too of course if you let your PDF reader or printer scale the pages to fit the paper size. Almost every PDF reader should have a printing dialog box with the option to scale the pages when printing the document, like “Fit to page” or something like that. Or, the separate settings of your printer software will probably also have a similar option. Often you can se a preview of what the printed sheets will look like with the chosen print settings, so you can check if no parts will be cut off. The main thing you have to look out for if you scale a paper model like that, is that the pages don’t get distorted: if the height needs to be scaled by a certain amount to fit on the paper, the width should also be scaled by that *same amount* of course so the proportions will stay the same. I hope this explanation helps a bit; if you try the different scaling options your PDF reader and printer might have, I’m sure you will quickly find the right one!